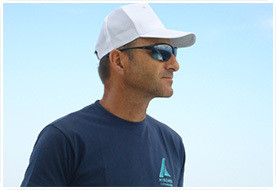 Michael, captain and owner of the fleet, is a highly experienced skipper. 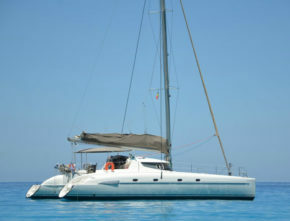 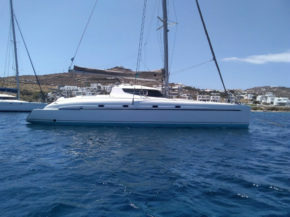 During his career, he crossed the North Atlantic Ocean, won the Heineken regatta in the Caribbean (multihull class) and was captain on large luxurious catamarans up to 85 ft.
Having worked extensively both in the Caribbean and the Aegean Sea for 13 years, he is in Mykonos for six years, where he is always willing to share his passion for sailing. 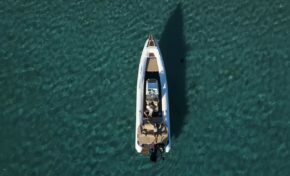 Captain Michael is capable of guaranteeing his guests a safe and enjoyable journey as well as an unforgettable experience of discovery in the pristine waters of the Cyclades. 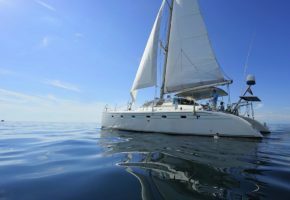 Very demanding with regard the quality of service offered on board, he personally trains his crew to ensure that all tours on all boats reach the same unmatched level of service.